RightWay Tax Solutions needed a modern website and brand to support the launch of an identity theft protection product. 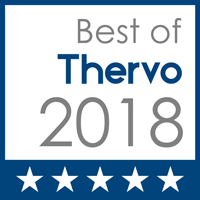 Terminus Agency provided a full brand concept including logo design, brand guidelines, website design and website development, custom illustrations, whiteboard style product video, and email marketing strategy. Our team assisted with the national rollout to tax offices by providing a multi-email marketing drip to educate tax offices about the threat of identity theft and the profit opportunity available through providing a competitively priced identity theft protection solution. 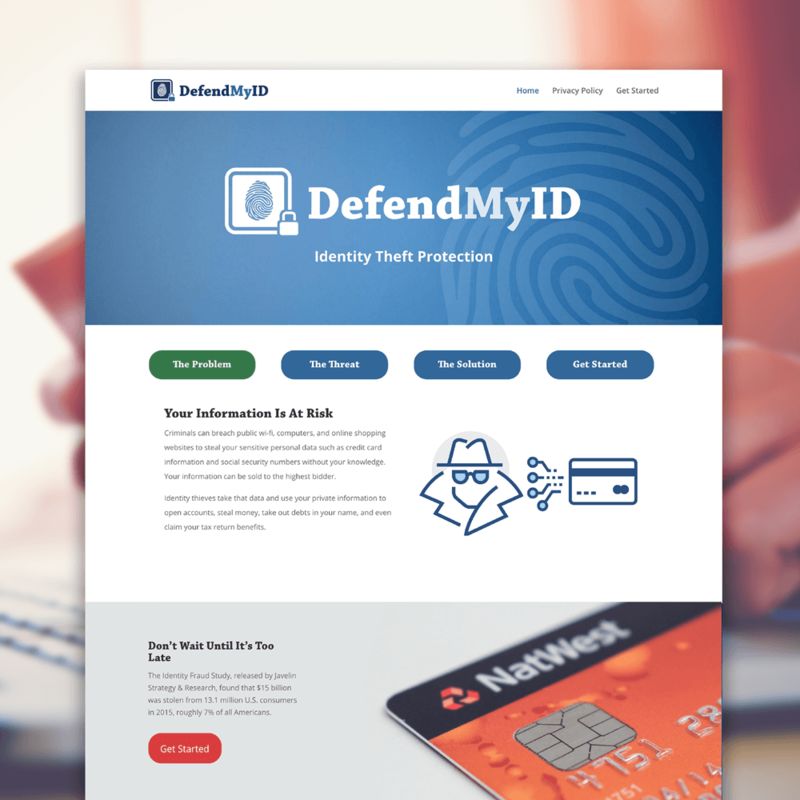 Our team worked with the DefendMyID team to develop a modern, trustworthy brand that represented the safety and security offered by their identity threat protection products. This included a full branding &ampl identity project, logo design, color palette selection, custom illustrations, and image usage guidelines. 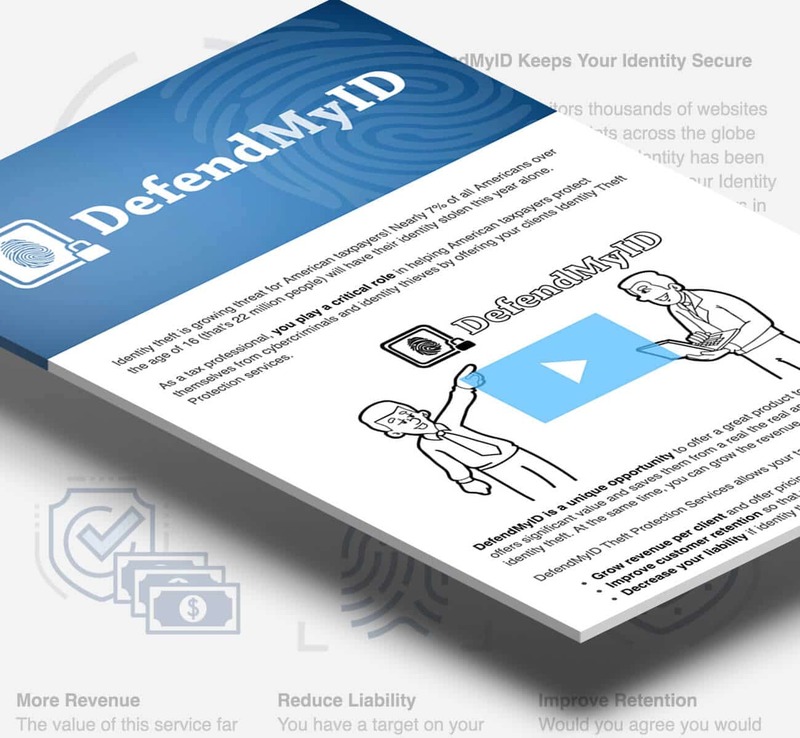 Our team worked with the DefendMyID team to develop a modern, trustworthy brand that represented the safety and security offered by their identity threat protection products. We developed a highly visual, icon-based brand language that could represent the value to a wide array of audiences and cultures. Want to know more? Let's work together.